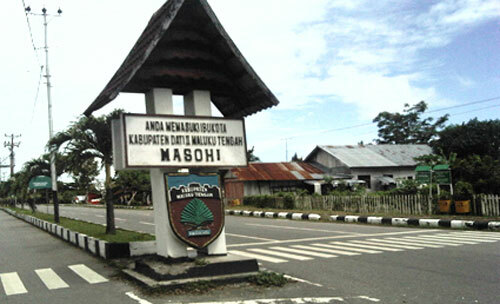 Masohi the capital of the central Maluku district is on Seram’s south-central beach. The plains around the town have received a population boost, with migrant from overcrowded Saparua and some of the isolated islands to the south, as well as resettled mountain dwellers from Seram itself. One group of mountain people, the Naulu with their familiar red headbands live fairly close to Masohi.